Based on this I devised this recipe laden with some of the richest sources of B vitamins. 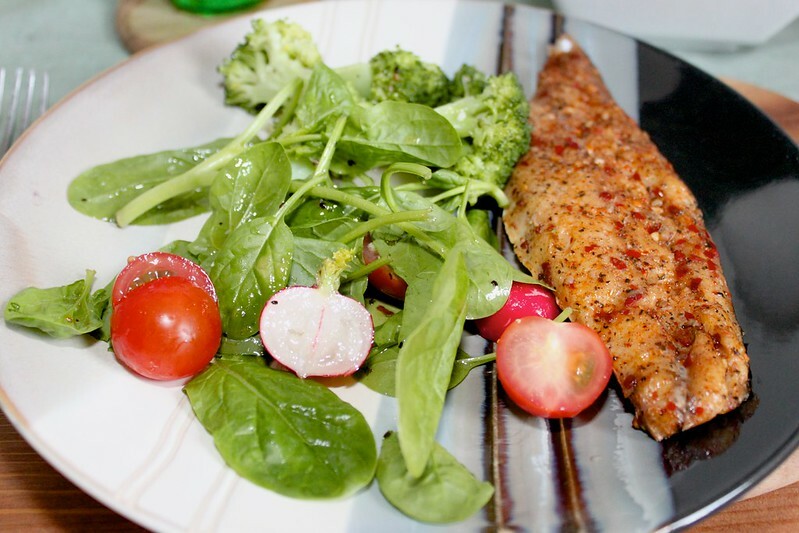 Fish are a great source of B vitamins, but also omega3s and teamed with lots of fresh green veggies like Spinach leaves and broccoli this salad is particularly healthy. Steam the broccoli florets, until they yield easily to a knife, around 5-8 minutes. Leave the broccoli to cool. Prepare the rest of the salad adding the spinach, halved cherry tomatoes and radishes into a bowl. Finally make the dressing, I mixed together a glug of olive oil, a good squeeze of lemon juice, a pinch of dried chilli flakes, a crushed garlic clove and seasoning to taste. I added half the dressing to the salad, and the other half to the broccoli in a separate bowl. Add the mackerel fillets to a plate and voila! One of the fastest dinners you can possibly make. The great things about salad is you can swap out the dressing for whatever you prefer. 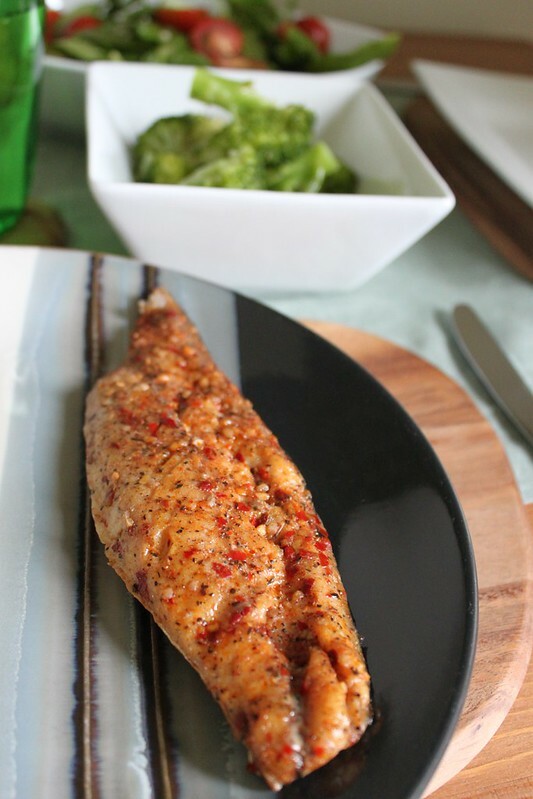 My mackerel fillets were Piri Piri style, so I added a touch of chilli to match. Whilst adding raw garlic can be a little strong, it gave an amazing kick of flavour.